The act of coloring can help to improve motor skills in young children. The actions, motions and precise grip involved in coloring can aid in the development of the muscles of the fingers, hands and wrist. Fine motor skill development can help children write more skillfully as well as manipulate small objects. They can then build on these skills to become better typists and more adept in sports and other activities. Children’s education takes place in a classroom with a fair amount of structure. Lessons are issued on paper via assignments, tests and other written course work. Coloring sheets, books and pages can be integral in preparing kids for the more structured work on paper ahead of them. Whether they stay in the lines or not, coloring fosters a creative spirit and an appreciation for visual differences. Coloring can stoke the imagination and inspire kids to brainstorm and learn to think of new ideas on their own naturally. Dexterity, hand strength and attention to detail are all required to write both printed letters and cursive script. Starting out with coloring pages early can help to develop these qualities so that writing comes more easily and naturally. 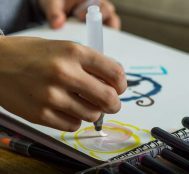 The names and hues of colors must be learned, and coloring on coloring pages fosters practice and awareness of primary and common colors as well as more nuanced color awareness of lesser-known, more subtle colors in a direct hands-on manner. Coordination and the ability to focus is just developing in young children, and undertaking activities to foster and strengthen this budding talent assists in efficient, healthy development. The act of holding crayons, choosing colors, implementing the color in the ideal spot and even sharpening crayons can all help with cultivating strong hand-eye coordination in youngsters. Adhering to boundaries is an important part of juvenile and adolescent development. Even if he or she becomes a renegade artist later in life, it benefits all children to start out knowing the rules before breaking away. Coloring sheets can help with anchoring a sense of structure and the need and benefit of having boundaries. Coloring also helps children to learn about lines, shapes, colors/hues, perspective, patterns and forms. The ability to complete a task successfully builds self esteem and confidence in young children. Coloring regularly and completing projects boosts a child’s sense of accomplishment and pride in themselves. Every human being expresses themselves differently, and many children are visual in nature. Coloring is a fertile vehicle for self expression as children make color decisions and flesh out the boundaries of a coloring page, sheet or book. Coloring is also calming and therapeutic for kids, especially if they have no other outlet for unpleasant or confusing emotions. Even kids who fall into the “normal” range of emotional health can benefit from processing their feelings, frustrations and emotions though the simple but profound act of coloring. Most kids love to color, and it turns out it’s more than just a recreational activity. It can also foster physical and psychological development in a range of areas. Get your kids started with coloring as early as possible, and you’ll contribute to a lifetime of positive benefits. Great article. Learning can be fun and enjoyable. This article is great and benefits of coloring are also many. But I know one thing for sure from my personal experience is that coloring is very natural to kids, they just love coloring even when they can’t write. Thanks for the wonderful article. I really loved what you said about how coloring is a great way for children to express themselves, and can help them express themselves better in their lives. My sister has been looking for different activities for her children to do. 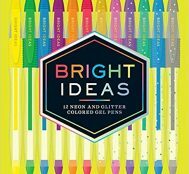 If coloring could help them develop in all the ways you mentioned, it would definitely make sense to look into getting some fun coloring books for the kids. Yapp, Coloring is a great activity for children. It offers them an opportunity to express their creativity while mastering fine motor skills, hand eye coordination, and a host of other things. Thank You for this article, I work in the childcare industry and although I mainly look after the school age children, this has become a huge debate at work recently…..
My director and 2 IC, are both Kiwi’s and are very much against colouring templates. Whilst my school aged children are not permitted to do this every day, they ask daily for it. I am fighting an uphill battle to try and explain why it is good for them as they think it stops their creativity and willingness to learn to draw. Any other information on this would be appreciated. I would suggest that you try to strike an agreement with them. You could suggest having both colouring in pages and generalised painting/art (50/50). This way they can reap the benefits of colouring in addressed above while still having what your director and others believe to be free creativity. I wish you luck as colouring is truly important for children’s development and should be a part of their learning experience. Thank you for this amazing article about psychology!